22 A None No Power Seat 22 A is a standard Economy Class seat that may have slightly restricted legroom due to the position of the bulkhead. The proximity to the galley may also be bothersome. 22 B None No Power Seat 22 B is a standard Economy Class seat that may have slightly restricted legroom due to the position of the bulkhead. The proximity to the galley may also be bothersome. 22 C None No Power Seat 22 C is a standard Economy Class seat that may have slightly restricted legroom due to the position of the bulkhead. The proximity to the galley may also be bothersome. 22 H None No Power Seat 22 H is a standard Economy Class seat that may have slightly restricted legroom due to the position of the bulkhead. The proximity to the galley may also be bothersome. 22 J None No Power Seat 22 J is a standard Economy Class seat that may have slightly restricted legroom due to the position of the bulkhead. The proximity to the galley may also be bothersome. 22 K None No Power Seat 22 K is a standard Economy Class seat that may have slightly restricted legroom due to the position of the bulkhead. The proximity to the galley may also be bothersome. 32 A None No Power Seat 32 A is a standard Economy Class seat that may have limited recline. 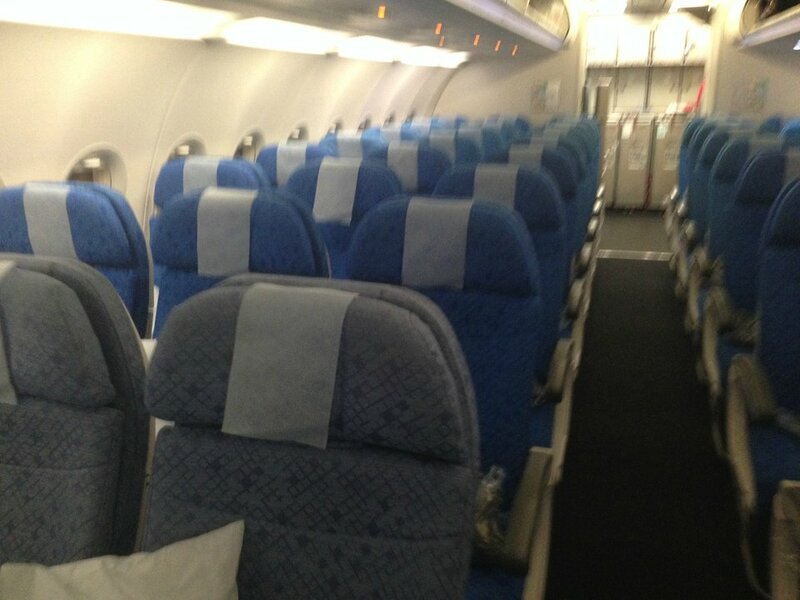 32 K None No Power Seat 32 K is a standard Economy Class seat that may have limited recline. 33 H None No Power Seat 33 H is a standard Economy Class seat that may have limited recline. 33 J None No Power Seat 33 J is a standard Economy Class seat that may have limited recline. 35 A None No Power Seat 35 A is a standard Economy Class seat that has extra legroom due to the exit in front. 35 B None No Power Seat 35 B is a standard Economy Class seat that has extra legroom due to the exit in front. 35 C None No Power Seat 35 C is a standard Economy Class seat that has extra legroom due to the exit in front. 35 H None No Power Seat 35 H is a standard Economy Class seat that has extra legroom due to the exit in front. 35 J None No Power Seat 35 J is a standard Economy Class seat that has extra legroom due to the exit in front. 35 K None No Power Seat 35 K is a standard Economy Class seat that has extra legroom due to the exit in front. 46 C None No Power Seat 46 C is a standard Economy Class seat however, the proximity to the lavatories may be bothersome. 46 H None No Power Seat 46 H is a standard Economy Class seat however, the proximity to the lavatories may be bothersome. 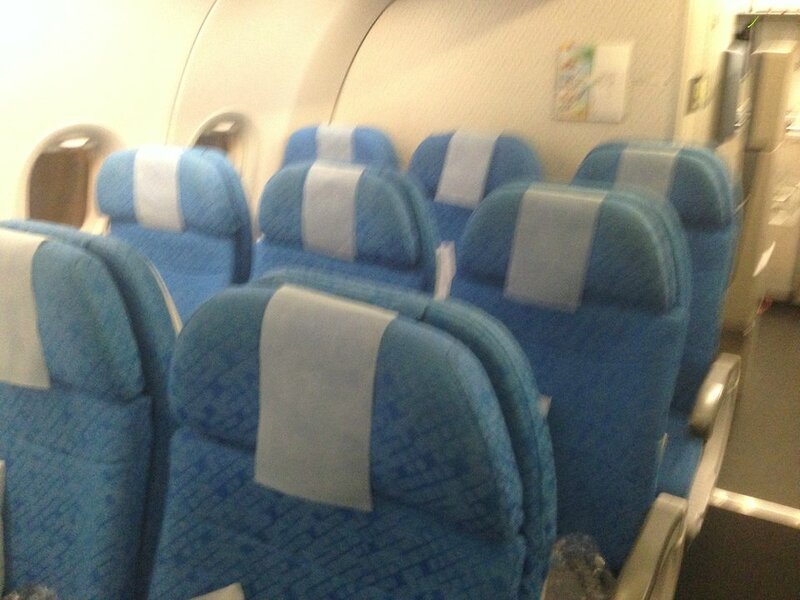 47 A None No Power Seat 47 A is a standard Economy Class seat in the last row of the plane. The close proximity to the lavatories and galley may be bothersome. 47 B None No Power Seat 47 B is a standard Economy Class seat in the last row of the plane. The close proximity to the lavatories and galley may be bothersome. 47 C None No Power Seat 47 C is a standard Economy Class seat in the last row of the plane. The close proximity to the lavatories and galley may be bothersome. 47 H None No Power Seat 47 H is a standard Economy Class seat in the last row of the plane. The close proximity to the lavatories and galley may be bothersome. 47 J None No Power Seat 47 J is a standard Economy Class seat in the last row of the plane. The close proximity to the lavatories and galley may be bothersome. 47 K None No Power Seat 47 K is a standard Economy Class seat in the last row of the plane. The close proximity to the lavatories and galley may be bothersome. 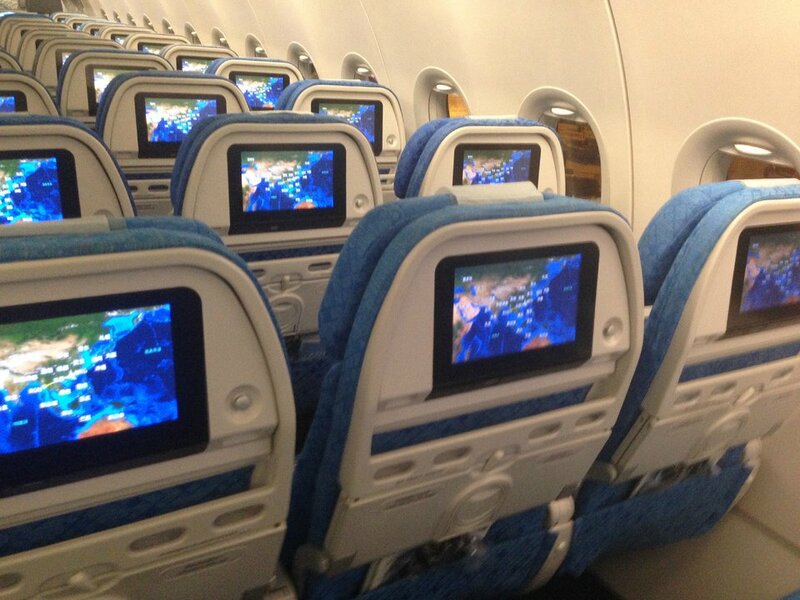 Personal TVs are available throughout the aircraft at every seat. Individual power ports are available at every seat on this aircraft. This Dragonair Airbus A321 is operated on short-haul routes. 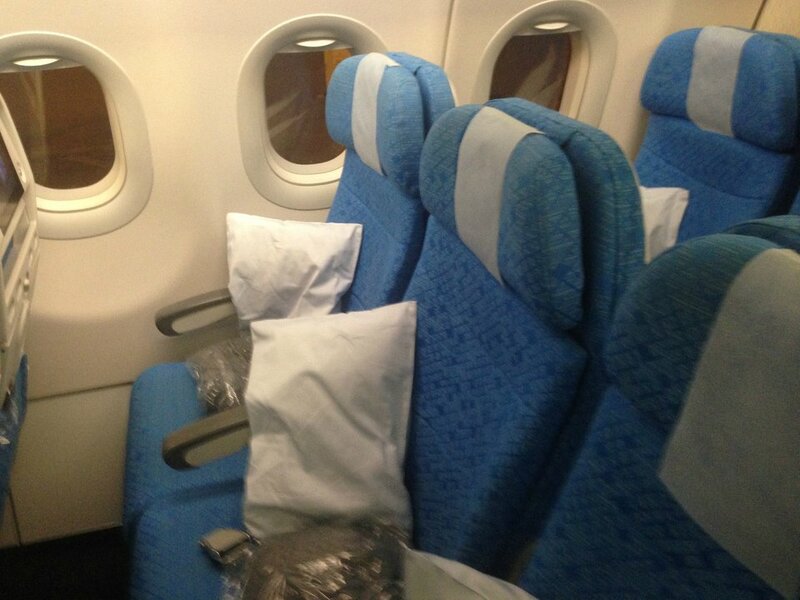 It has a two class configuration with 24 Business Class seats and 148 standard Economy Class seats. This seat was comfortable and I was impressed with the touch screen in flight entertainment. 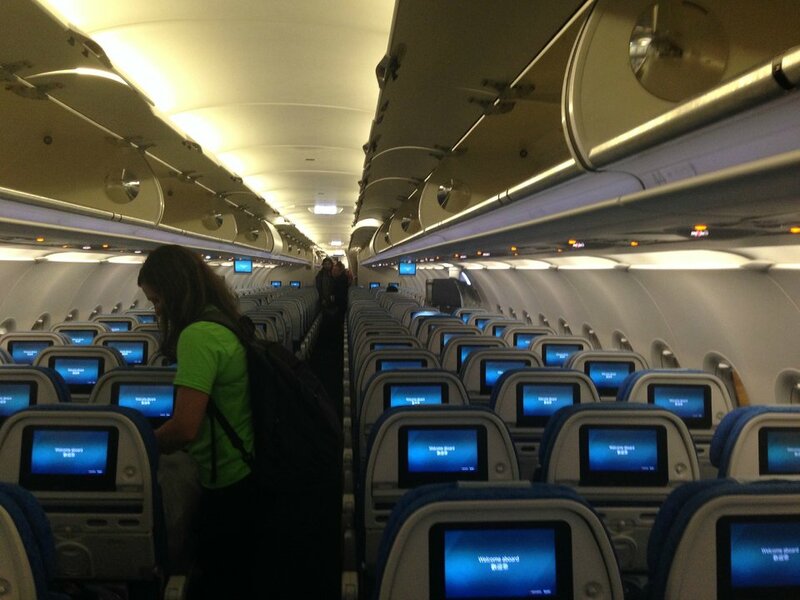 Lots of films and tv shows were available for the 90 minute flight from Da Nang to Hong Kong. I will use Dragonair again. Flight at dawn(2:35 by china local time), therefore, services were very simplized. Only some simple drinks and refreshments available for this flight. And the engine is located nearby, you will be forced to hear engine noise during the whole flight. And the screen is TOO FAR from your seat. HOWEVER, you might be able to enjoy leg streching since no seat is located in front. Nice Experience for 3.5 hours. The flight leaves at early morning, but, more than 30 mins after seat belt sign is off, the meal is served. Meal is very good for breakfast. Also, one electric code and one USB code is available at each seat. But you should keep this in mind: "USB Code Charging speed is terribly slow". And the entertainment programs offered are so good, although some has no subtitles for English. Once the flight begins approaching to HKG, informations for connections will be available on your screen. Transit passengers should keep eyes on also. This seat has 2 windows and provides a good wingview for any aviation enthusiast. The IFE screen cannot be tilted and can be blacked out a bit when you recline. The seat pitch is to tight so without recline the seat back is in your face. The seat is also relatively small, so sleeping in it is extremely uncomfortable, and I got a headache after attempting to sleep on the flight. I wouldn't label 46H any different from another aisle seat, but people tend to mark seats closer to the front of the aircraft so you might get a free seat next to you like I did. I didn't notice any galley proximity problems. Dragonair flies 1 versions of Airbus A321.